Dimension even rebooted the franchise in 1998 with H20: Twenty Years Later, ignoring the fourth, fifth, and sixth entries in the series (possibly the second as well, seeing that Myers appears to have both of his eyeballs intact). Then, somehow, Rob Zombie came around and mucked up the series even more. 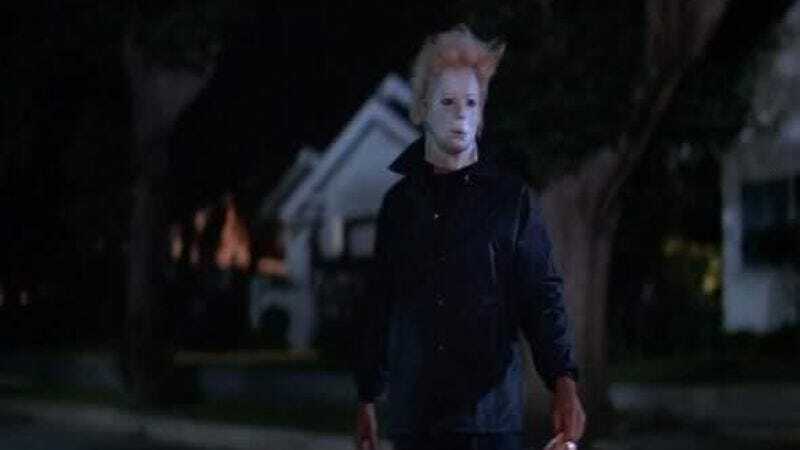 And now, whether out of bloodlust or simple greed, producers are letting Mikey loose on the streets of Haddonfield once again in the upcoming Halloween Returns. Okay, so Deputy Hunt is now the sheriff of Haddonfield. He’ll be dealing with frightened teenagers, angry townsfolk, and a prophet of doom when Myers—who apparently was deemed competent to stand trial, made it through said trial without murdering anyone, and is now on death row—escapes his execution in order to…well, we’re really not sure if he’s going to try to kill his sister, his niece, or catch up over some brewskis with his old friends Jason and Freddy. The new film will be following the continuity of 1981’s Halloween II. Ben Tramer, Haddonfield’s original hipster—he did go as Michael Myers for Halloween before it was cool—is still dead, Laurie Strode may very well be alive, and Silver Shamrock will more than likely not be involved. Halloween Returns is set to begin filming in July.